The blast that rang out on September 29 in Peshawar, the main city in Pakistan’s north-western province of Khyber Pakhtunkhwa, was, evidently, an additional attempt at thwarting the process of normalization that has been developing in the country since this year’s May 11 parliamentary elections. Attacks by the insurgents, who, as a rule, represent the intransigent sections of the Pakistani Taliban movement, became more frequent towards the end of August, occurring both in the Khyber Pakhtunkhwa province and in the western province of Balochistan. September saw numerous such attempts. The deadliest attack happened in the middle of the month, once again in the city of Peshawar, against members of the Christian community. Despite these excesses, it is possible to say that there has been an observable improvement in Pakistan’s political climate after the Pakistan Muslim League – headed by Nawaz Sharif – came to power. He became Prime Minister at the beginning of June and formed a cabinet that enjoys the confidence of a majority of the members in the lower house of parliament that was formed based on voting results. Sharif’s ascension to power was not an unexpected or extraordinary event. His party enjoyed a confident victory in the May elections, which were the first scheduled elections in the history of the country (a history of almost 70 years), that is, they were held as is prescribed by the constitution, five years after the previous elections. The government of the Pakistan People’s Party (PPP) that came to power after the 2008 elections (in a coalition with a few other parties) stepped down at the beginning of April, in accordance with constitutional amendments approved by the parliament, and was replaced by an interim administration. The elections were organized by the Election Commission which relied on the army and other security forces so as not to allow any disruptions, any excesses or terrorist acts to occur during the voting process. Almost 100 million voters registered for the elections, making the voting campaign very expensive and necessitating foreign aid to hold the elections. The voter turnout was estimated to be almost 60%, with these being the 10th elections held in Pakistan, while the preceding elections showed less voter activity with a turnout of around 40-50%. The party of Nawaz Sharif (Pakistan Muslim League, PML-N) had a landslide victory in the province of Punjab, the largest province with 60% of the population. Punjab support guaranteed the party’s victory at the federal level (Pakistan is one of the few federal parliamentary republics in the Muslim world, consisting of four provinces, the capital territory and a number of special status territories). The PML-N received 47% of the seats in the elections to the lower house of parliament. 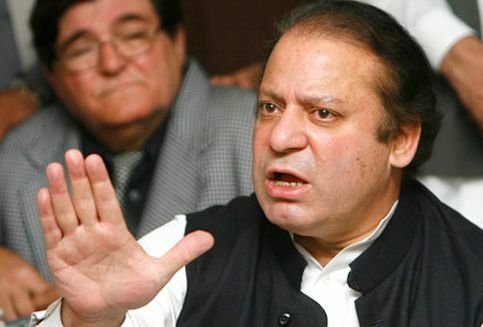 Because a majority of the independent candidates joined the party, Sharif was able to form a single-party government which has been functioning since the beginning of June. Apart from the post of prime minister, Sharif also appropriated the positions of Defence Minister and Foreign Minister for himself. It appears that the previous stance on foreign policy will, for the most part, be adopted once again by the new government. This policy is based on supporting various multi-faceted mutually beneficial contacts with all participants on the international stage except for Israel. 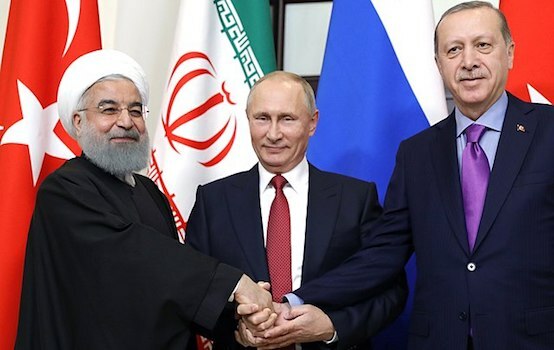 Officially, the highest priority is reserved for supporting the unity and solidarity of Muslim countries, while the main foreign policy pillars will be the U.S., Saudi Arabia and China. Sharif will strive to improve relations with Washington, which have already improved considerably since the crisis situation of two years ago. 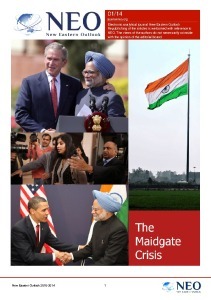 The current Prime Minister is known as a politician who has declared his desire to develop ties with India, primarily within the economic sphere. Sharif is a leading Pakistani entrepreneur and is one of the wealthiest people in the country. In defending the interests of the commercial and industrial circles, he could move in the direction of India without, however, forgetting about Kashmir while at the same time attempting to weaken India’s economic presence in Afghanistan. We will return to Afghanistan’s importance for Pakistan further, while for now we note that Sharif’s government will, evidently, continue the previous government’s foreign policy of strengthening ties with Russia. Pakistan is interested in three spheres – economic, political and military. Understanding that the Russia-India ties do not allow for great expectations within the latter sphere, Islamabad will nevertheless concentrate on the former two, primarily on attracting Russian capital to its metallurgical, energy and various high-tech industries (mobile communications, space and others). Within the political sphere, Pakistan is expecting to participate in multilateral projects with Russia (Shanghai Cooperation Organization and others) while also expecting bilateral cooperation in the fight against Afghan drug trafficking. Despite Sharif’s party clearly winning the elections, it still cannot be called all-inclusive. The elections for the provincial legislatures, which took place on the same day, did not end as well for Sharif’s party. Out of the four provinces, other parties achieved better results in three. Sharif’s party triumphed only in the Punjab province, where it won 80% of the seats. However, in the province that is second in size and importance, Sindh, the previously ruling Pakistan People’s Party won almost half of the seats. In the Afghanistan-bordering province of Khyber Pakhtunkhwa, nearly half of the seats went to the Pakistan Movement for Justice (Pakistan Tehreek-e-Insaf) – the party’s first real success – headed by a famous former Pakistani cricket player Imran Khan. In the most turbulent and the most ethnically diverse province of Balochistan, the seats went to a few Pashtun and Baloch parties as well as Sharif’s party. As a result, the provincial governments that are critically important for the political climate within the country have now become akin to a strip farm – the cabinet of the PML continues to rule in Punjab and is headed by Nawaz’s brother Shahbaz, whose influence within the party is second only to Nawaz. The PPP government continues to rule in Sindh, the cabinet of ministers in Khyber Pakhtunkhwa was formed by I. Khan’s party while in Balochistan, a coalition government, which includes the PML-N party, is in charge. It bears noting that the elections led to a noticeable shift of the entire political axis to the right – the so-called secular and left-of-center parties (PPP, Awami National Party, Mutahida Qaumi Movement, etc.) suffered serious losses, while the right-of-center parties that lean more towards Islam rhetoric (PML, Tehreek-e-Insaf, etc.) celebrated their victory. In comparison with the 2008 elections, this year the successful parties were purely religious. The Jamiat Ulema-e-Islam party was able to achieve their usual successes among the Pashtuns of the north-west, a party of theologians that follow the Deobandi school who are the spiritual mentors of Afghani Talibans. The fundamentalist party Jamaat-e-Islami also performed relatively well for itself. Both of these religious political parties offer their services to N. Sharif as mediators in talks with the Taliban. After the elections and until the end of August, there has been a noticeable decline in terrorist activity within Pakistan. This is, evidently, linked with attempts by the new leadership in the north-western regions to find common ground with Pakistan’s Taliban movement and other Islamic organizations. Although, another important factor to consider is that this was also the time of Ramadan. It seems that strengthening central power in Pakistan and concentrating it in the hands of Sharif, who is a stronger and more experienced politician than Asif Ali Zardari, has forced Kabul to explore areas of common interest with Pakistan. According to official communiqués, the recent (August 27-28) visit of Hamid Karzai to Islamabad was very successful. Karzai even extended his visit by a day to continue negotiations. It’s no coincidence that Pakistan is seen as all but the key to regulating the Afghan problem. The reason for this lies in the steadfast and longstanding ties between the Afghanistan Talibans and Pakistan’s Inter-Services Intelligence. In relying on their influence within the Taliban and by supplying them with money, weapons and logistics support, Pakistan’s military intelligence service evidently controls Afghanistan’s current situation, while at the same time, in many respects, controlling the process of regulating the country’s politics. After the main contingents of American and NATO troops leave the country at the end of 2014, the role of Pakistan, its army and military intelligence services will grow exponentially. Pakistan is scrutinizing the fight for influence within Afghanistan, primarily, in light of the competition with India, and secondarily, from a position of strengthening its overall role in the geopolitics of the region. The third reason for Pakistan’s interest in Afghan matters lies in the fact that the situation within Afghanistan indirectly influences security within Pakistan. The Pakistani Talibans that have entrenched themselves in the mountains and are acting under the ideological banned of Afghani Talibans have, for the past few years, been leading a fierce war with the forces of the regular army, the Frontier Corps and the police. According to some estimates, around 40,000 people have fallen victim to this war, which includes primarily civilians but also a significant amount of military and law enforcement personnel. Despite the fact that the army’s reputation within society remains high, as per tradition, its political influence has waned. This is caused by the successes of electoral democracy, to which the military contributed as well, in addition to consolidating power in the hands of a man whose relationship with the military leadership did not always develop smoothly. General-President Mohammad Zia-ul-Haq’s protégé Nawaz Sharif has prematurely left the post of prime minister twice, in 1993 and in 1999, on the initiative of various Chiefs of Army Staff. Notably, during the second incident his resignation was accompanied by the country plunging into a state of emergency, followed by sentencing Sharif to life in prison. This was later changed to a pardon and an exile out of the country, which General Pervez Musharraf agreed to, as is believed, under heavy influence from Saudi Arabia. By a twist of fate, the former president and resigned general is now under investigation with charges meaning that he will have to face the death penalty. It is unclear how far Sharif will be able to go as well as how far he desires to go in pursuit of his previous pursuer. The fact that the investigation has begun is not the best sign for the country. Although the army is not yet openly supporting Musharraf, it will be, evidently, closely monitoring the trial procedures. At the end of November of this year, the influential General Ashfaq Parvez Kayani will retire from the key post of Chief of Army Staff (he has held it for 6 years). Sharif will have to make a difficult decision from among the generals who are vying for this top military post. At first, the political role and the ambitions of the Chief of Army Staff will be modest, but in the event that the socio-economic and political situations within the country deteriorate, they may rise and place the country in danger of a new military coup. Vyacheslav Belokrenitsky, Doctor of Historical Sciences, deputy director of the Institute of Oriental Studies at the Russian Academy of Sciences, and Sergei Kamenev, Ph.D. in economics, head of the Pakistan Department in the Institute of Oriental Studies at the Russian Academy of Sciences, exclusively for the online magazine New Eastern Outlook.